One of our most popular posts: Originally written by Mik on Friday June 30, 2012 – Reblogging for our new friends. This week has definitely been the definition of crazy. For a few days, at least, everything was going pretty decent in my life despite having had some “hiccups” here and there. I enjoyed the blessing of having a period of time where things were calm and my health seemed to be at a stable state. (Stable in being that I can get through the week without any major episodes or symptoms.) Though it was calm, it was unsettling….like the silence before a storm. It felt that way because anything “normal” in my life is abnormal to me and I am so used to everything around me being chaotic and out of control. Nonetheless, I did not take this moment of time for granted and enjoyed it as much as possible. So I was not surprised when that all came to a quick end this week. This previous Wednesday, I woke up and went about doing what I usually do, when a dull pain in the upper left part of my abdomen started to annoy me. I ignored it, writing it off like most of the daily aches and pain I deal with. But around five that evening, I was finishing up some online schoolwork when, out of nowhere, started to feel really dizzy and had an uncomfortable internal heat. I got up from my desk so I could go lay down until these feelings went away, however, gravity had a different idea. After standing, a stronger wave of dizziness hit and my legs suddenly became weak and gave out underneath me. I mentally rolled my eyes as I said hello to the all-to-well acquainted floor, and after doing a mental check to make sure I did not injure myself, I called for my mom to come and help me . 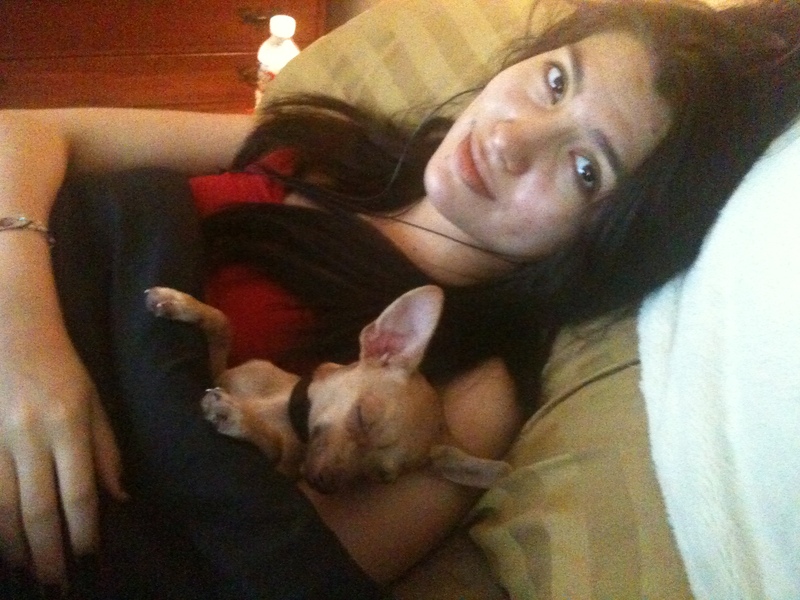 She and my brother came to assist me, while my legs were an equivalent to a jelly fish. So the task of getting me from the front room to the bed took a little longer than expected. After getting settled in bed, I had to rest until my blood pressure rose back to normal and wait until my legs decided to work again. (After each collapsing episode it takes awhile for me to get up and move around because my legs can lose their function.) However, that dull pain in my left side that I had been ignoring started to increase until it became extremely uncomfortable. About an hour later, the pain was to the point of where it became unbearable and I was nearly in tears. With the pain becoming worse in a short amount of time, and it starting to spread up into my chest, my mom rushed me over to the Memorial Hermann hospital ER. The emergency room was incredibly busy so it took awhile until one of those ER rooms were available. By then, I could barely sit up anymore due to all my symptoms, especially the pain, being off the chart. So when we got settled in the room and the doctor ordered some medication to bring me some relief from my pain, I could have sworn the angels of Heaven themselves sang Hallelujah. All of the blood work and testing went by in a blur, and afterwards we were waiting for the results to come back. During that time, I started thinking over about my easygoing days and how much I enjoyed them while they lasted. If you rewind just a few months back, my usual symptoms and even some new ones started to spiral out of control. It was frustrating because even though I have been on a series of medications that had been working for so long, that didn’t stop the cycles of intense symptoms. Over the course of previous episodes, I went through rounds and rounds of tests and I was always disappointed and sad when the results came back normal….and to some that may sound weird. Why am I disappointed because of that? Wouldn’t anyone be happy to have this so called good feedback? In my case, it is frustrating to get back “normal” results because that means that my team of doctors goes back to the drawing board on what is triggering these extreme episodes. I know if I received an official co-existing diagnosis that resides along with my Dysautonomia, it would not make me all healthy again and solve everything. It would at least, though, be able to help my doctors to figure out another form of treatment to help calm my out-of-control symptoms. So when the ER doctor finally came in with the news that all the results were “normal”, I crumpled into tears as soon as he left. I want to know what is causing all of my pain, but what I want to know even more is to find out why I am abnormal and extreme in even the Dysautonomia world. Before I go on, I want to say to those that read this that are suffering from Dysautonomia like I do, or from any other chronic illness; do not be discouraged from what I have written here. Whenever I receive disappointing results or whenever I cry, it is never out of losing hope. This just means that there is another obstacle to overcome, and over every obstacle is the other side, which hope lies. Due to my stubborn nature, I NEVER give up. I’ll never give up trying to fight through an obstacle. The hospital is my battlefield, Dysautonomia is my enemy. My tears are just a sign of my battle. I don’t know what different things you are going through, all of our stories are different, but at the same time they are similar: we are the “hidden” with invisible illnesses that can wreak havoc in our lives. We are in this battle together. I hope I can inspire you to never give up, to never stop fighting. Always keep moving forward through your obstacles because eventually you will win and get to the other side. So I kept this mantra in mind when they sent me home and it brought me comfort. However, I will not lie. I was down for the rest of the week and had pity parties here and there, but I shook it off afterwards and kept on pushing forward. The good news is that after days of resting, I have been slowly recovering and was even feeling strong enough to go see the outside world this past weekend. Right now, there is nothing else anyone can do at the moment until my main cardiologist returns from out of town. But until his return…..I will just have to take it easy and treat all my symptoms as needed and sing the good ole Hakuna Matata lyrics. Now for the Dys Song of the Day: I always flip to this song on my ipod (which is practically attached to my ears 24\7) when I’m having a low day or in need of some empowerment . It gives me a reminder that God is still there and that He is watching over me. My Reason to Smile this week! 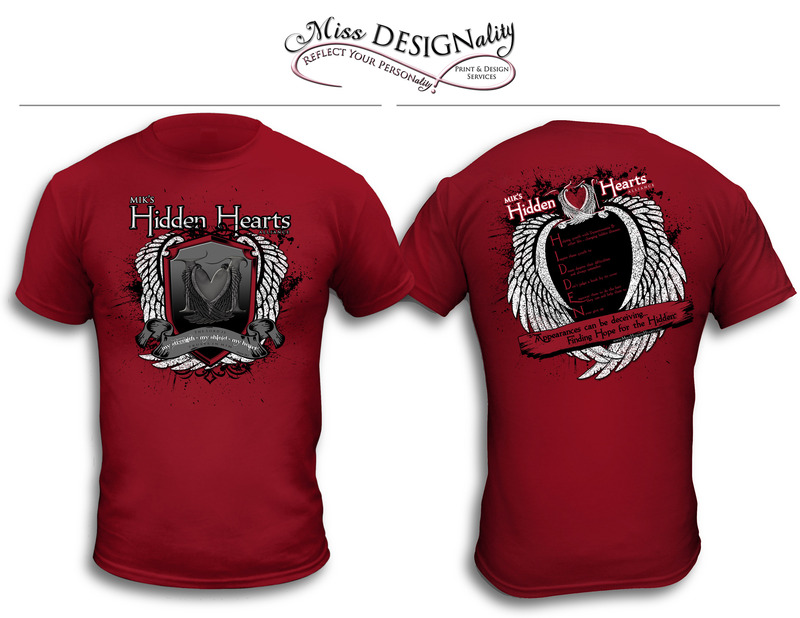 If you haven’t seen them yet, I’m happy to announce our new Mik’s Hidden Hearts t-shirts are now available, go check them out here! 🙂 For every one sold, one will be sent to a fellow hidden teen in a Hope Kit. Until next time – remember you are not Hidden! Need to vent or chat? You can email me at Mikaela@hiddenheartsalliance.org or go to our Facebook page.